Belle was purchased for our daughter Kayla. Belle is a one of a kind ECS. She has a heart bigger than any ECS. 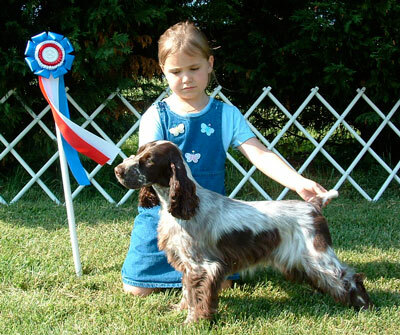 Belle was used as Kayla’s Junior Showmanship dog. Belle also was our first ECS to earn a WD. Although she was small, her drive and heart were there in the largest ways. Belle is retired and lived her life with the Gaglione’s. 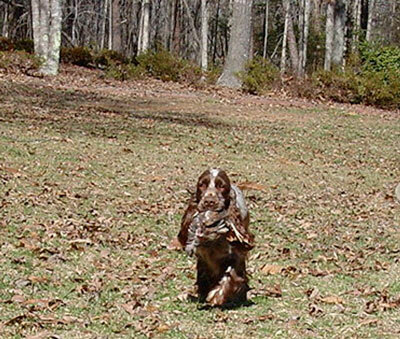 Belle also had one of the greatest gifts, she loved to companion older dogs. She saw our English Springer Spaniel “PJ” through her final years and the Gaglione’s Beagle “Milo” through his final year as well.